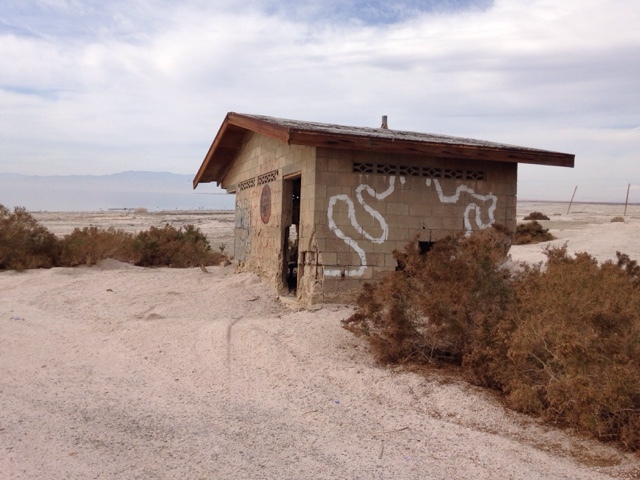 I arrived at the Salyon Sea on Monday after my drive over from Quartzsite, AZ. 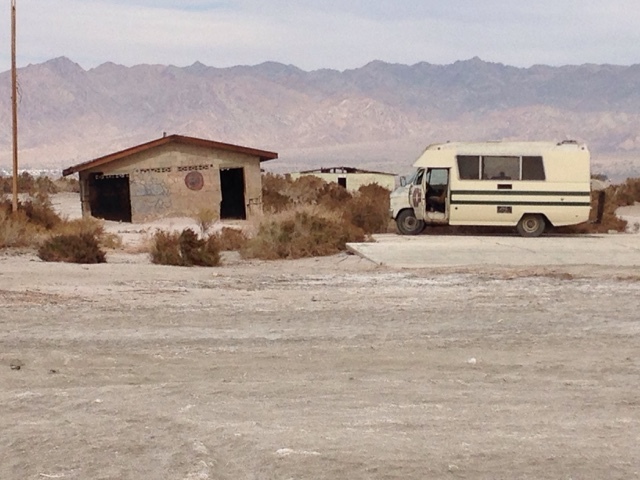 My first stop was the Imperial Wildlife Campground to look for a spot to stay the night, but it didn't look interesting and there were a lot of duck hunters there, so I made my way up the road a few miles to the Niland Landing where there is some limited camping. This is where I took the picture above and the ones below. People have told me it stinks here. Well "it stinks" can be used interchangeably for figuratively and literally. The salty water and death and decaying fish is tolerable from a smell perspective but figuratively it's just not where you would go for much fun. 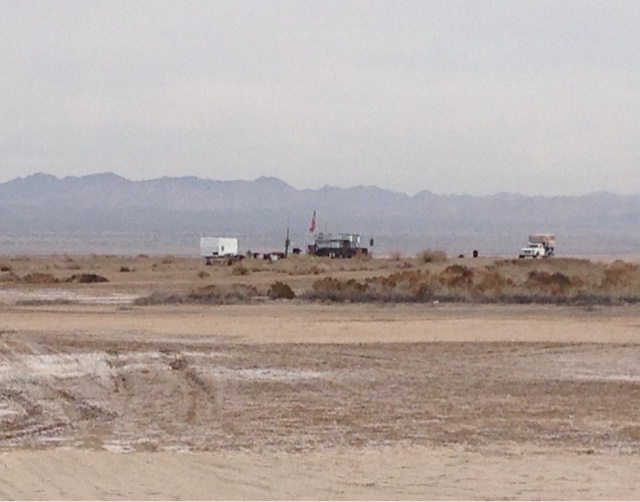 Here is a high spot where the camping is. 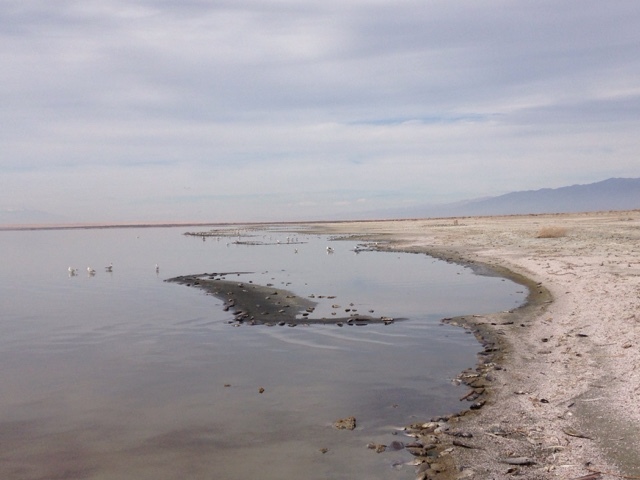 The Salton Sea was placid when I was there and there was a haze over the lake that filtered the sun more that the midlevel clouds did. From s distance it looks like a sandy beach. Looking south now you can see some birds. 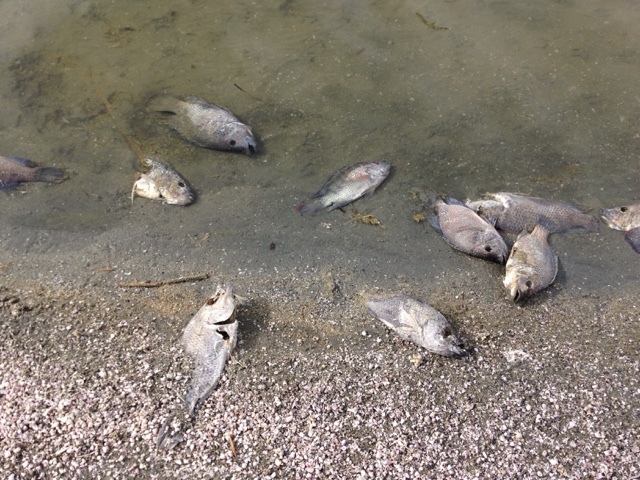 A closer look at the water's edge reveals dead fish. Not one or two but as far as you walk it's the same. 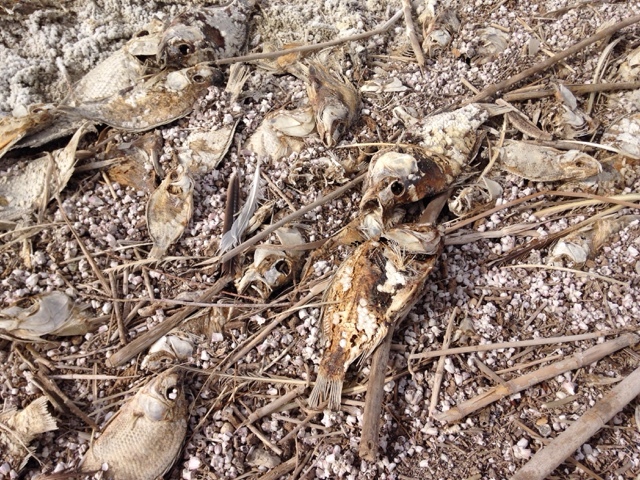 This number of dead fish is small compared to some of the pictures I have seen on the Internet. 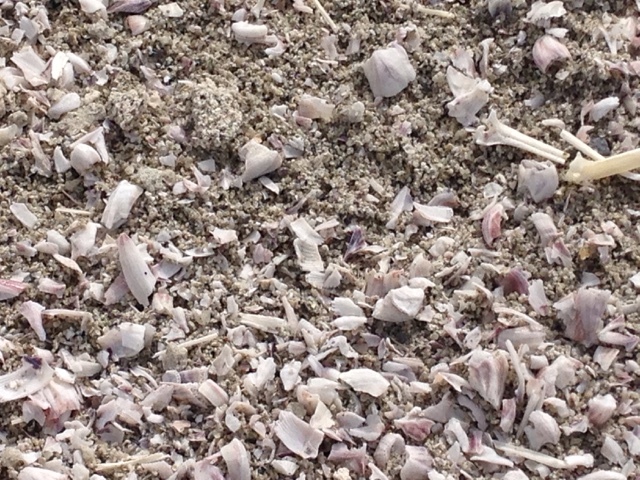 The picture above reveals the crunch under foot when walking is just pieces of fish bones. He was nice. I asked if anyone ever bothers him and he said no, although he mentioned that I should drivevtovthe water's edge with my Prius. I declined although he assured me that he has had a Honda drive right up to the water. 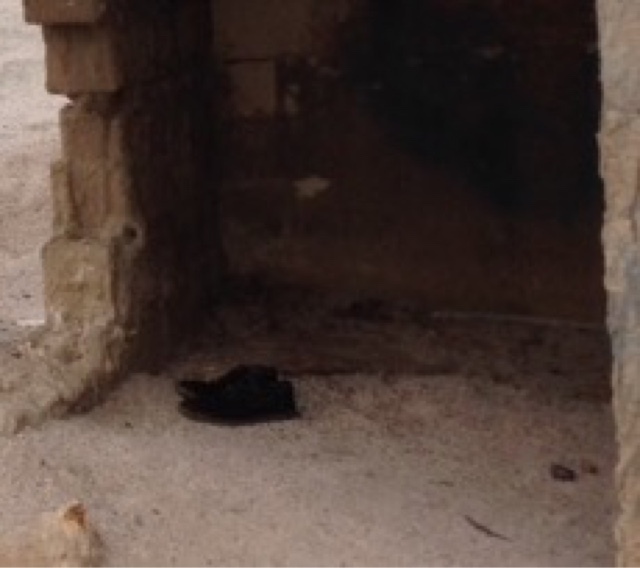 When I took this picture I noticed that black spot on the floor of the building. I went closer and they were a pair of men's dress black shoes. I bet they had a story to tell as there was no body attached to them. 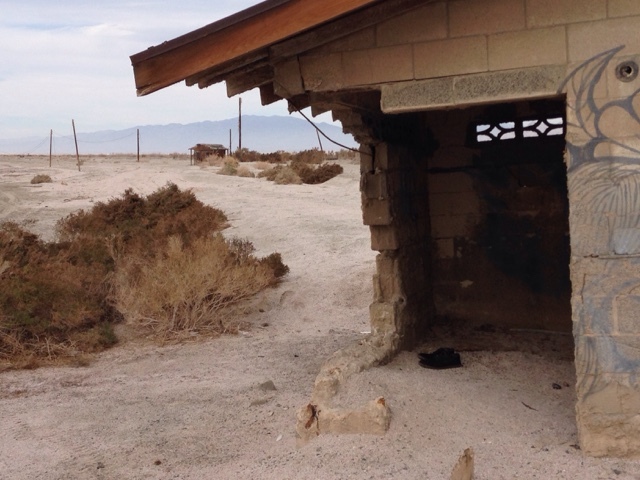 Further north along the eastern side of the Salton Sea are a few California State Parks and I follow another blog of a couple that recently stayed there and their waters edge were same with dead fish and bones. 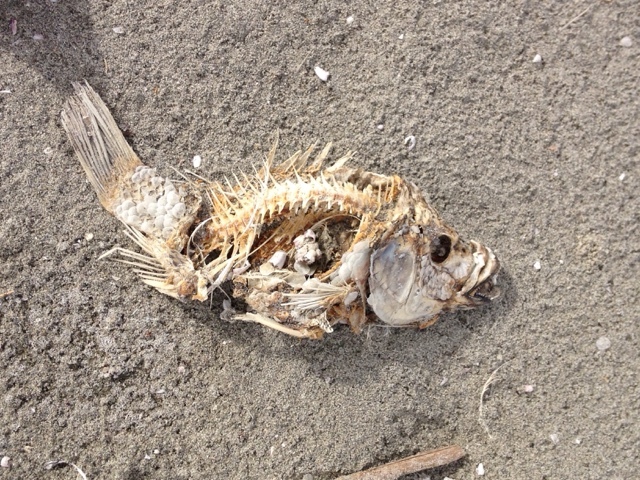 So, I will leave it up to you on how you feel about the decay of fish and infrastructure, but it was a bit depressing to me to stay even one night. Everything has some beauty and the value is in the eyes of the beholder. 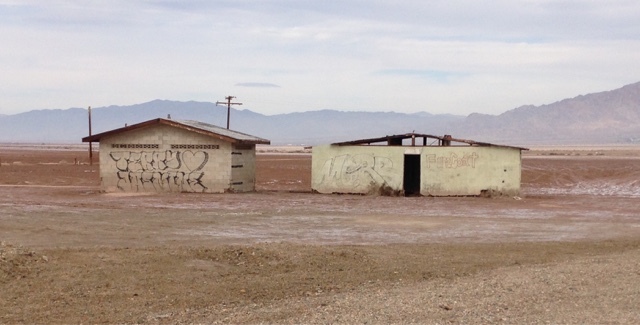 You can learn more about the Salton Sea following this link. Wonderful write-up and pictures. 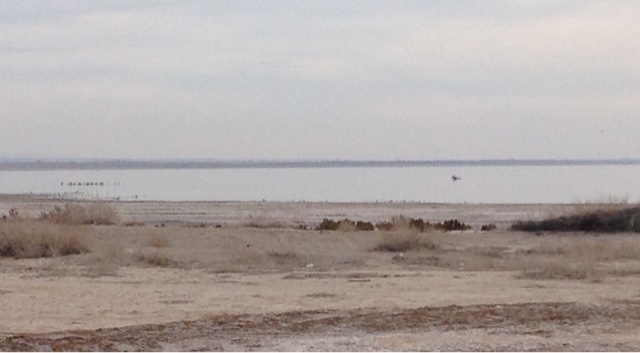 I think the Salton Sea is a good example of how humans can mess things up by trying to engineer nature. I saw a documentary on it a few years ago. It focused on the people who settled there, the few who are hanging on and the health problems attributed exposure of toxins due to the shrinkage of the "sea"
Thanks for the additional insight. 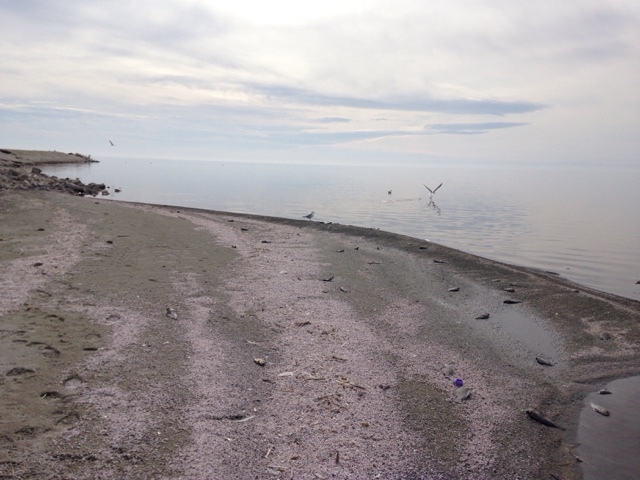 My travels bring me to many places where people and the disregard for the environment have created problems. I glad there are people out there that do their piece to make things better.